Good news everyone! 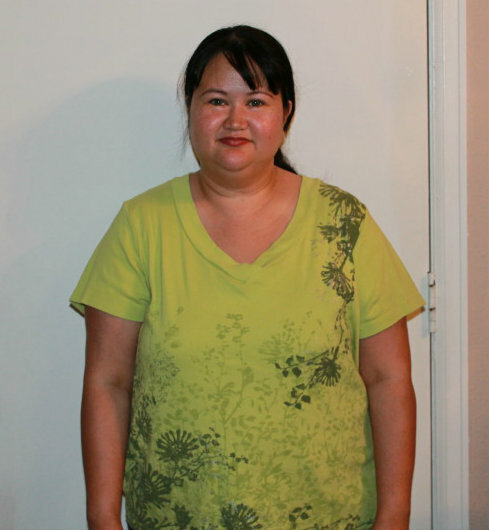 I am doing totally awesome on all four of my DietBet challenges! Yes, you heard me... FOUR! Yeah, I think I am officially addicted to DietBet :) Being addicted happens to be a good thing for me because it has really kept my booty motivated and I hate to say it... that is kind of hard to do! I need all the motivation I can get. Losing weight and gaining a little extra cash sounds like a great combo to me! I am losing steadily and I am feeling wonderful! 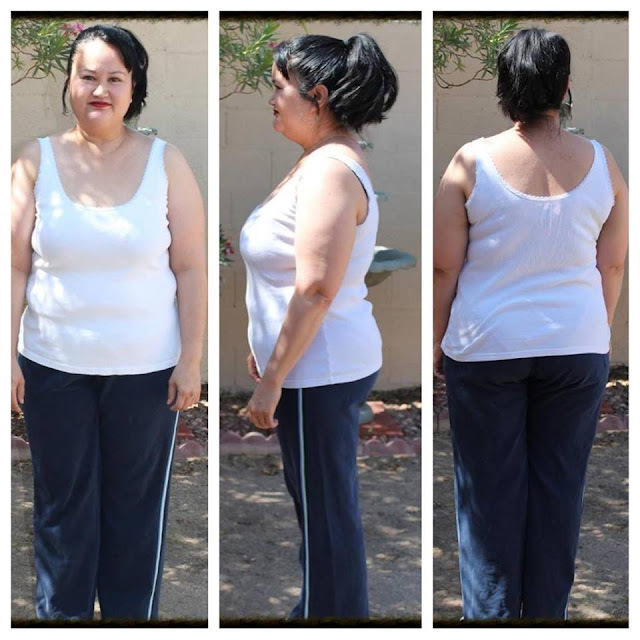 As some of you guys know, I started my own DietBet challenge called Sandy's Kitchen July DietBet that is still going on right now, but I also started one for August! Actually it starts July 31st, but runs through August. If you want to join us, click the link below. It costs $25 to play which goes into one large pot. You must lose 4% of your starting weight in 4 weeks, if you do, then you get to split the pot with all the other winners. Simple as that! Come join the fun! A photo of me at 185 pounds. Most recent photo taken last Wednesday at 167 pounds! As you can tell, I still have a ways to go to get to goal, but I am getting there one packet at a time! Soon I will be saying Hello to the 150's and Good Bye to the 160's! Sorry I won't miss you 160's, but it is time to move on! Good riddance! I know this is almost too easy to be classified as a recipe, but I thought I would share it because it tastes too good not to post a little something about it. 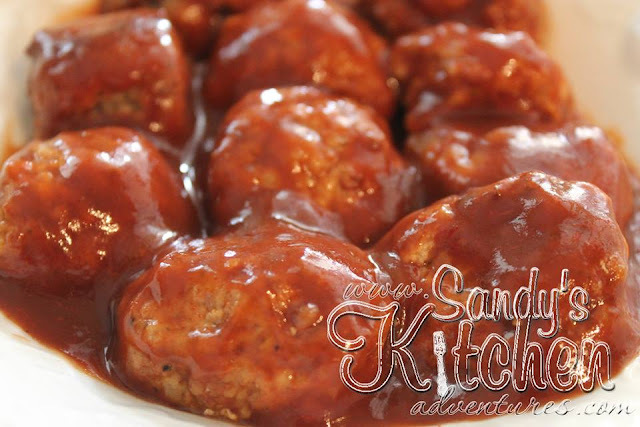 The recipe is just a mixture of Guy's Smokey Garlic Sugar Free BBQ sauce and low sodium soy sauce poured on top of Trader Joes turkey meatballs. That's it! Yeah, I know... definitely not Betty Crocker, but we all need these quick and easy recipes for days that are crazy busy! I have to say... these meatballs sure did hit the spot! I am a BIG fan of BBQ sauce! I love to put it on all my meats and use it as dipping sauce. Yum, yum, yum! Quite honestly, it is really hard to find a great tasting low carb sauce but this one works for me. I am really glad someone turned me on to this one! Thanks fellow reader! Don't know where to get Guy's BBQ Sauce? Don't panic! You can get at Netrition's website. This is the best website to find all your low carb items and the price is very reasonable too, not to mention flat rate shipping! Just in case it is STILL sold out on their website, here is Guy's BBQ Sauce's main website, Guy's Award Winning BBQ Sauce. It is more expensive on their own website because of their shipping costs are really high so you my want to wait until it comes back in stock on Netrition's website. 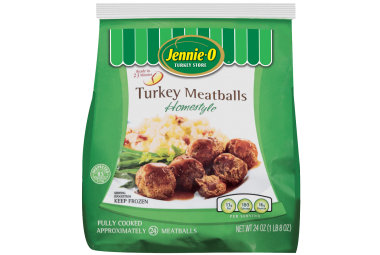 Also, you don't have to use only Trader Joes Turkey Meatballs. I am fortunate to have a Trader Joes by me but you can use any Medifast approved brand you like. Here are two other ones that could be found more locally. I have tried all three and they are all delicious! I wouldn't have them all the time but they are great to have on hand in case you need a quick Lean and Green meal and you don't feel like cooking. Bake meatballs according to package. Trader Joes is 20 minutes at 350 degrees. Combine BBQ sauce and soy sauce in a small bowl and pour over meatballs.